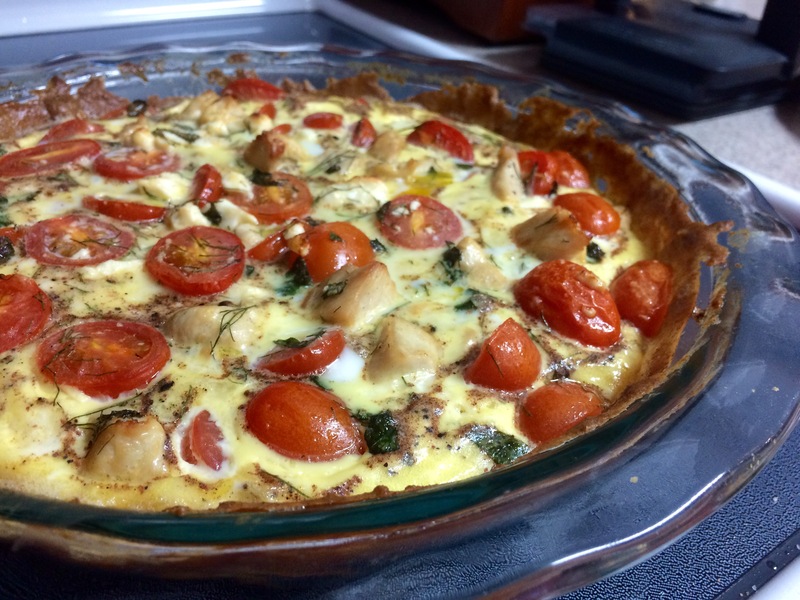 Yes, you read correctly: mediterranean chicken and vegetable quiche. Found it via Clean Eating Magazine and thought, J really digs Mediterranean food, we’ll give this a shot. (PS – the crust may not look very pretty, but it was quite yummy.) I’ve posted it for you here, but if you’re ever looking for a lighter version of your favorite dish? This website/magazine might what you’re looking for. …so we made homemade toaster strudels for breakfast! He grew up eating and enjoying toaster strudels — what kid didn’t? Naturally I thought it fitting to get him some toaster strudels to eat on his birthday, but then I stumbled upon this recipe. 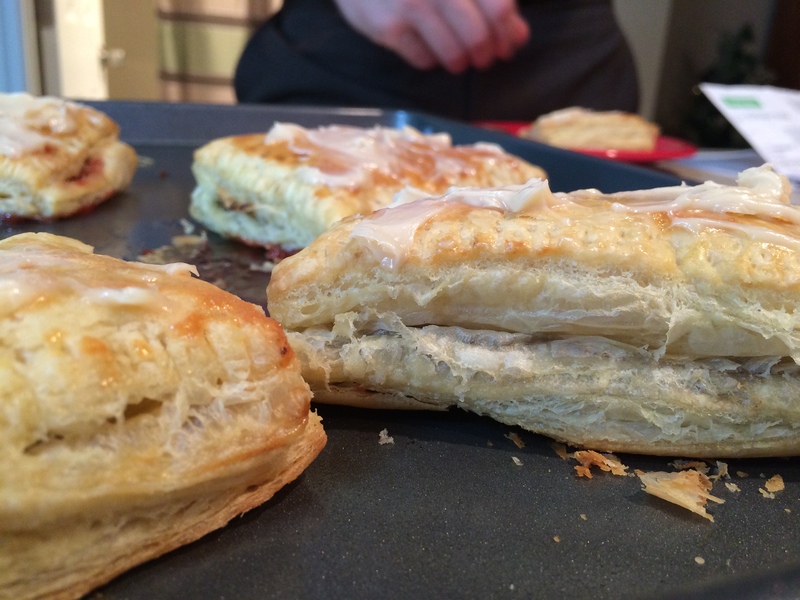 I bought the puff pastry dough, surprised him with the news this morning, and he loved it. They were also insanely delicious. 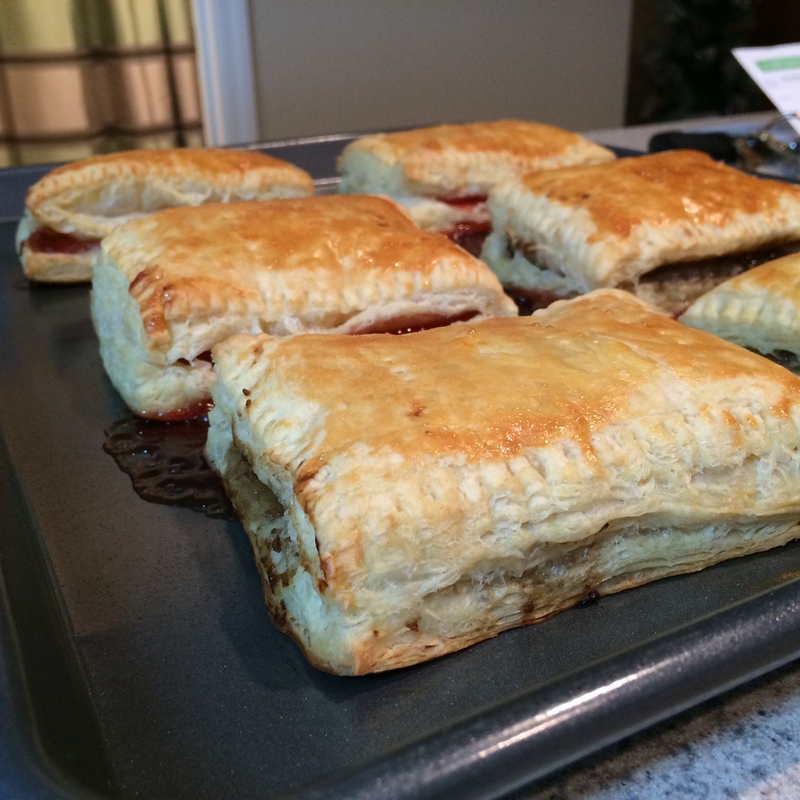 Directions: Roll out puff pastry dough and cut into equal sized rectangles and place on baking sheet. On half of the rectangles, spoon strawberry jam. Top jam covered dough with the other half of the dough rectangles. Use a fork to seal edges together. After sealing together, poke a few holes in the top so steam can escape while baking. Brush tops of dough with beaten egg. Bake at 375 for 25-30 minutes, until tops are lightly browned. While strudels are baking, use a hand mixer to combine cream cheese, powdered sugar and vanilla for glaze. Remove strudels from oven and allow to cool for 5 minutes. After strudels are cool, drizzle glaze over the top and serve. We realized while we were making them that the possibilities are endless with these things! You could fill them with eggs, or sausage, or spinach + cheese, etc. It was an easy process, fun for us to do together, and made a yummy breakfast. Two thumbs way up. On to more birthday celebrating…. PS >> Look & Live and Dear Photograph.